Amit Chitalia, MD, is a certified cosmetic physician who’s committed to improving lives through cutting-edge, science-backed aesthetic and anti-aging treatments. As medical director of Omega Medical in Florham Park, New Jersey, he’s gratified to help the women and men he treats feel better, look better, and develop a greater sense of confidence. Dr. Chitalia received a bachelor’s degree in biochemistry and molecular biology, a master’s degree in medical sciences, and an MBA from Boston University. He earned his doctorate of medicine from St. George’s University School of Medicine and completed his residency training at Mt. Sinai School of Medicine/St. Joseph Hospital. Dr. Chitalia trained with the American Society of Cosmetic Physicians, American Academy of Procedural Medicine, American Cosmetic Cellular Medicine Association, and the American Academy of Cosmetic Surgery. He’s passionate about bringing the latest rejuvenation and revitalization techniques to Omega Medical, including platelet-rich therapy (PRP) to reverse hair loss and turn back the clock on aging skin. Dr. Chitalia also restores sexual function and pleasure with the groundbreaking O-Shot® and P-Shot®. He’s an expert in microneedling, liquid facelifts, and Vampire®) techniques. 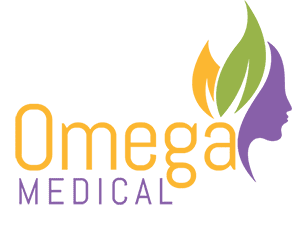 At Omega Medical, Dr. Chitalia provides personalized care to women and men of all ages. He constantly learns new techniques so he can offer the best and latest treatments in the field of medical aesthetics and regenerative medicine.